What happens when life together turns into a life of crime? Our February issue will capture your attention and hold it hostage with stories of undercover lovers, villainous relationships, and couples running from the law… right into each other’s arms. Don’t miss “Tennessee Tango,” bestselling author Lisa Phillips’s suspenseful romance that will keep you on the edge of your seat. 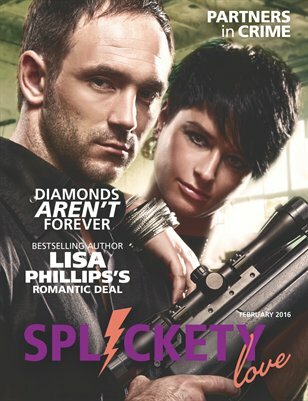 From a playful tale of a recipe heist to a bargain with death, we bet you’ll enjoy this criminally good edition of Splickety Love.